Today there is a growing movement within our church. It is serious, as it relates to the identity of God, specifically the Godhead. As we have often mentioned, we are active in His vineyard, watching and listening to what the workers amongst us are doing and saying. The idea of the “Trinity” is being discussed on a large-scale and we thought it important to discuss this relevant and important issue. The Christian doctrine of the Trinity (Latin: Trinitas, lit. ‘triad’, from trinus, “threefold”) holds that God is three consubstantial persons or hypostases—the Father, the Son (JesusChrist), and the Holy Spirit—as “one God in three Divine Persons”. The three persons are distinct, yet are one “substance, essence or nature” (homoousios). In this context, a “nature” is what one is, whereas a “person” is who one is. According to this central mystery of most Christian faiths, there is only one God in three persons: while distinct from one another in their relations of origin (as the Fourth Lateran Council declared, “it is the Father who generates, the Son who is begotten, and the Holy Spirit who proceeds”); and in their relations with one another, they are stated to be one in all else, co-equal, co-eternal and consubstantial, and each is God, whole and entire”. 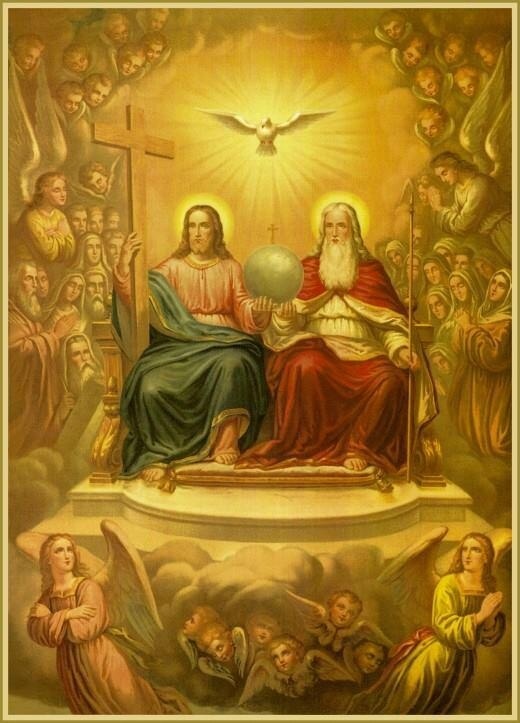 Accordingly, the whole work of creation and grace is seen as a single operation common to all three divine persons, in which each shows forth what is proper to him in the Trinity, so that all things are “from the Father”, “through the Son” and “in the Holy Spirit”. While the Fathers of the Church saw even Old Testament elements such as the appearance of three men to Abraham in Book of Genesis, chapter 18, as foreshadowings of the Trinity, it was the New Testament that they saw as a basis for developing the concept of the Trinity. One of the most influential of the New Testament texts seen as implying the teaching of the Trinity was Matthew 28:19, which mandated baptizing “in the name of the Father, and of the Son, and of the Holy Spirit”. Another New Testament text pointing to the Trinity was John 1:1-14, in which the inter-relationships of the Triune God are reflected in the gospel author’s description of “the Word”, again showing the elements of the Triune God and their eternal (always was, always is, and always shall be) existence. Reflection, proclamation, and dialogue led to the formulation of the doctrine that was felt to correspond to the data in the Bible. The simplest outline of the doctrine was formulated in the 4th century, largely in terms of rejection of what was considered not to be consonant with general Christian belief. Further elaboration continued in the succeeding centuries. Scripture contains neither the word Trinity, nor an expressly formulated doctrine of the Trinity. Rather, according to Christian theology, it “bears witness to” the activity of a God who can only be understood in Trinitarian terms. The doctrine did not take its definitive shape until late in the fourth century. During the intervening period, various tentative solutions, some more and some less satisfactory, were proposed. Trinitarianism contrasts with nontrinitarian positions which include Binitarianism (one deity in two persons, or two deities), Unitarianism (one deity in one person, analogous to Jewish interpretation of the Shema and Muslim belief in Tawhid), Oneness Pentecostalism or Modalism (one deity manifested in three separate aspects). Additionally, the Church of Jesus Christ of Latter-day Saints believes the Father, the Son, and the Holy Ghost are three separate deities, two of which possess separate bodies of flesh and bones, while the Holy Ghost has only a body of spirit; and that their unity is not physical, but in purpose. The above give us a good basic understanding of the concept of the Trinity. But as God’s remnant church, and specifically –present truth believers , we need to know what is happening amongst us concerning this issue. Then there is the other camp, which is unfortunately growing, that believe that there are only TWO coeternal Persons, the Father and the Son. The “Holy Spirit” is a type of force or cosmic energy and is at the beck and call of the Father and Son. Ah, the Lord’s Spirit of Prophecy says we “cannot explain it.” This makes perfect sense as once someone decides to do a study upon this great “mysterious” and confounding subject they come into all kinds of “what ifs” and “how comes”. But this Inspired counsel is today thrown to the wind and many are taking upon themselves the mount of Korah, and declaring that they are inspired just as God’s prophets are and can explain who, what and where the Holy Spirit is! And they have declared that not only is there no Holy Spirit Being as God, but that the very word–Trinity– is blasphemous! “This is who he is, the father and God of Jesus Christ our Lord who is the son of the father. A false doctrine has gained it’s way into our church today. A doctrine “denying the only Lord God and our Lord Jesus Christ”[Jude 4]. Almost every book in the New Testament begins with a similar greeting. The title, God, is always used in reference to the father, and there is no reference to a third being. Nowhere in the scriptures is the title, “God,” used in reference to the father, son, and holy spirit, at the same time. A doctrine called the trinity has denied this. This doctrine denies who God is and who his son is. This doctrine does not “manifest the love of God toward us”[1 John 4:9]. It denies Christ is the son of God, and makes God out to be an office of three beings, an impersonal God pervading all nature. Co-eternal, co-equal friends is what it says when you analyze it rather than a “father and son”. What we see here is this man’s explanation of the Godhead, specifically that there are TWO Persons, not three. Yet as we showed our important doctrinal SDA belief says we believe in THREE Persons in the God head. This man and those like him today want to re-write or deny our doctrinal beliefs! But let us remember that the Omniscient God knew very well that this Trinity issue would be a concern in our last days, did He not? And Did He not decide to write a promise in His Holy Word saying that a “restorer” , the last prophet to our church, the Elijah would come and therefore explain these things? Ok, if we believe that, then we must search what the final restoring message says in order to know the Truth of this matter. Otherwise we are like Korah, uninspired and stepping up to the Lord’s platform to tell Him and us what is Truth and that “we” know it instead of His inspired Prophets. Oh my my! Today there are many teachers of this new doctrine, claiming that it is really a old doctrine founded with the pioneers of the SDA church. For example a website call Revelation1412.org– Nader Mansour, and the above mentioned site by David Barron. Both of these are active promoters of this doctrine. There are two specific areas where the Elijah message confirms the belief in the Triune God, the Trinity. As a side note, if you read this link, keep it in your memory bank as many of Satan’s workers, those SDA leaders and scoffers of the Lord’s Rod (Micah 6:9), will tell you that Davidian Seventh-day Adventists don’t believe in the same fundamental beliefs as the SDA, which this exposes as a lie. Instead they should be worried about the real usurpers as shown above, those promoting the denial of the Trinity! Why are not the given names of the Trinity used in baptizing? As the Scriptures give several names for the Father and for the Son (and none for the Holy Ghost), and as we are not told which of these to use in baptizing, we must, therefore, take Him at His word and baptize in just the way He commands: “in the name of the Father, and of the Son, and of the Holy Ghost.” Matt. 28:19. Moreover the names given in the Scriptures are not absolute names, but rather titles–equivalent to the names Father, Son, and Holy Ghost. So we are clear, the Lord’s restoring message of Elijah CONFIRMS that there is such a term as “Trinity” and it describes three co-eternal Beings. This is solid my brethren and we can “take it to the bank”. So what do we have here my beloved? We have an end time deception! A side tracking issue that diverts our minds from one of our core fundamental beliefs as Seventh-day Adventists. This is for the purpose of trying to establish a form of self-righteousness, a holier than thou belief because they know who God is more than the prophets! But what they forget is that he was not inspired prophet of God. It was only when he co-wrote the booklet “A Word to the Little Flock” that the prophetess approved, collaborated and authorized it, thus endorsing it with her part of that booklet. Yes, he was the husband of Ellen White, our prophetess, but that did not keep him from declaring uninspired statements or beliefs. All we have to do is see what the INSPIRED prophetess, his wife said years AFTER such words. The Words Holy Spirit are “hagios pneuma” meaning pure spirit (being) used above and it is the same as what Christ described in authorizing baptism into His Christian faith in Matt: 28:19-20. Is it fair and right to be VERY careful in regards to the Holy Spirit? If Christ exalts Him to be one of the THREE divine authoritative titles used to be publicly received into His faith and promises, then who are we to try in the least amount to lessen or degrade the Holy Spirit into a mankind construction. In other words, we must go back to God’s instruction that specifically calls us NOT to explain it. Christ exalted the Holy Spirit and let’s leave it at that! “Go ye therefore, and teach all nations, baptizing them in the name of the Father, and of the Son, and of the Holy Ghost.” Matt. 28:19. “This is He that came by water and blood, even Jesus Christ; not by water only, but by water and blood. And it is the Spirit that beareth witness, because the Spirit is Truth. For there are three that bear record in heaven, the Father, the Word, and the Holy Ghost: and these three are One.” 1 John 5:6, 7. When we are baptized in the name (singular, not “names”) of the Father, Son, and Holy Ghost, we are baptized in our Maker, the blood, and the Truth, and these three are One. Thus we are baptized in the “name,” not names, because these three are one — The Trinity — Creation, Redemption, Truth. Most people, though, act as if they were baptized to the church, to a society, to Paul or to Apollos, so to speak, but we as reformers and Present Truth believers, must go on with the Truth wherever it leads us, always remembering that we have been baptized to the Father, the Son and the Holy Ghost. In closing, let us not fall for one of Satan’s many snags today. If we believe in our Lord, the Word, we will know the Truth. It is only when we desire to follow man instead of His inspired prophets, that we may fall. There is a concept known as the Trinity, and it is from God. This week we’d like to show some of the Elijah message’s Q and A. We picked these out for your study. Enjoy. ARE “ZION” AND “JERUSALEM” THE SAME? Please explain the difference between the terms “Zion” and “Jerusalem” of Isaiah 52:1 and of Revelation 14:1. On ancient Zion’s exalted hill stood the palace of the king, “and the rulers of the people dwelt at Jerusalem: the rest of the people also cast lots, to bring one of ten to dwell in Jerusalem the holy city, and nine parts to dwell in other cities.” Neh. 11:1. So the royal family resided on Mount Zion, and the lesser rulers and other government representative dwelt in Jerusalem proper. The call, “Awake, awake; put on thy strength, O Zion; put on thy beautiful garments, O Jerusalem,” is applicable to the Laodicean church, the last of the seven churches, and the one which terminates the period of the “wheat” and the “tares” commingled, because after she puts on her beautiful garments, “the unclean shall no more come into” her. Those who will awake to the rousing call, put on strength by separating from the wicked, and put on the beautiful garments by turning to righteousness, are those who will, in the “latter days,” make up Zion and Jerusalem–the princes and rulers of the people in the Kingdom-church restored. Then “clad in the armor of Christ’s righteousness, the church is to enter upon her final conflict. ‘Fair as the moon, clear as the sun, and terrible as an army with banners,’ she is to go forth into all the world, conquering and to conquer.”–Prophets and Kings, p. 725. Hence, “only those who have withstood temptation in the strength of the Mighty One will be permitted to act a part in proclaiming it [the Third Angel’s message] when it shall have swelled into the loud cry.”–The Review and Herald, No. 19, 1908. Now as to the meaning of the two terms, Zion and Jerusalem as used in Revelation 14:1, the second reference in question, the Revelator explains that the 144,000 of the twelve tribes of Israel are those who make up Zion. His words are, “And I looked, and, lo, a Lamb stood on the mount Sion, and with Him an hundred forty and four thousand, having His Father’s name written in their foreheads.” Rev. 14:1. These being the first fruits (Rev. 14:4), it further shows that they are the first of the harvest in “the end of the world.” Matt. 13:39. Obviously, then, those who were seen after them, the “great multitude…of all nations” (Rev. 7:9), are none other than the second fruits of the harvest, some of whom will dwell in Jerusalem. JOSIAH’S OR JOHN’S PROPHECY FULFILLED? Though in the working out of Litch’s prediction, there was a seemingly preternatural element of coincidence, the event in question could not have been that described in John’s prophecy, for the latter reveals that the four angels bound in the Euphrates were to slay the third part of men. And where in the Scriptures is any Gentile nation symbolized by angels? Moreover, the Ottoman Empire did not fall at all; instead, it placed itself “under the control of Christian nations.”–The Great Controversy, p. 335. Furthermore, the angels had an army of 200,000,000 horsemen, while Turkey never had that many cavalrymen in all her lifetime! Still further, the prophecy of The Revelation calls for slaying the “third part of men” (Rev. 9:15), whereas in the fulfillment of Litch’s prediction, no slaying took place. In view of all these facts, it is self-evident that though Litch’s prediction may have been fulfilled, it in no wise had reference to the Revelator’s. The mission to save the world cannot be more important than the mission to save the church enlarging the church membership under the now prevailing lukewarm Laodicean conditions could no more advance the Kingdom of Christ than could have been done under the condition in the Jewish church in the days of His first advent. Understanding the true situation in the church, John the Baptist and Christ Himself and even the apostles at first, engaged them selves to work, not for the world in general, but only in the interest of their brethren in the church. After the church awakes and ceases dreaming that she is “rich and increased with goods,” finds out that she is in need of everything rather than of “nothing,” puts on her strength by turning to Christ her Leader, clothes herself in the garments of His righteousness, and lets the unclean pass no more through her (Isa. 52:1), then shall her righteousness go forth as brightness and her salvation as a lamp that burneth. And the Gentiles shall see her righteousness, and all kings her glory (Isa. 62:1, 2). Then will she really be able to save. Then her “gates shall be open continually; they shall not be shut day nor night; that men may bring unto” her “the forces of the Gentiles, and that their kings may be brought. For the nation and kingdom that will not serve” her “shall perish; yea, those nations shall be utterly wasted.” Isa. 60:11, 12. In the old Biblical times the word persecution usually encompassed stoning, crucifixion, flogged, or any other means of physical abuse. But today we know that this persecution is less severe physically yet no less emotionally and mentally troubling. In other words today’s suffering of God’s people is more discreet and less open than days of old, but nevertheless just as serious spiritually. Ah, did you catch that? We inserted a false word in there — “some” for the Word of God — “all”. Now there is no doubt that God’s Word says ALL who live Godly SHALL suffer persecution. This Word my brethren is vast and far-reaching in our lives today. Let me begin first by giving my own example of how this subject came alive to me personally. In early 2009 I came into the truth of God’s Commandments, specifically the Sabbath. This changed my whole heathen life style. In short order I was on the path to knowing more about God. Who He was, what He stood for, and what He requires of us. I had been a SDA member for a good year already and when I read that , I wondered to myself, “Um, I do not suffer any persecution. Maybe this is not really applicable for us today.” Yet that idea came into my belief that God’s word is truth and means what it says. So I put it away in my memory bank for another time. Fast forward a couple of years. I came into the message of our Lord’s final message of Elijah by listening an online audio sermon of the subject of the 144,000. It struck me hard. Because a short time prior to listening to it, I had driven by one of our local SDA churches during the course of my work day and the Spirit had told me to inquire of one of the retail businesses on this church property. I was led to call and ask this Chiropractor shop whether they were open on Saturday. They responded, “Yes we are would you like to make an appointment?” This devastated me and I broke down right then and there. Keep in mind , up to this point I was growing in faith with my church. Thinking firmly that we were God’s people, not perfect but striving to keep His Commandments as a corporate body. Yet, here I saw that we were gigantic hypocrites! We teach that God’s true day of worship is the seventh day, the Sabbath, yet right there in front of the world for all to see we were letting people “within our gates” work and break His Sabbath! But as I mentioned, this sighing and crying was seen by our Lord and He guided me to that audio sermon to awake my soul to what His plans were for purifying His people, His church. In other words, I soon saw that He knows all about this hypocrisy and will do something about it. Soon I was in deep into this “new light” and my soul was truly filling up with the “bread” from heaven, His words of life. 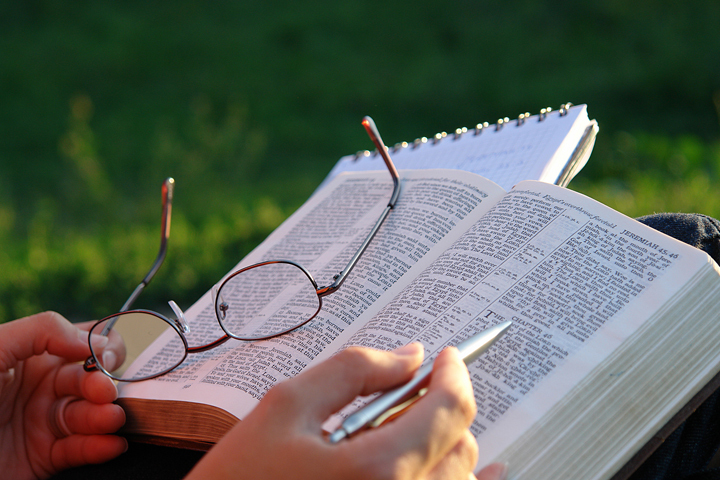 The whole Scriptures came alive as if Someone had anointed me with “eyesalve” to see (Rev. 3:18). Thus, being excited of these new truths I was very zealous and anxious to share them. I had been a frequent pre-Sabbath school speaker in our church, well received as well, and after learning of the Elijah message, I shared some new insights to the church. Much as a man who found gold in a field would want to share the news to his family, I too wanted my church to know these marvelous valuable things. BAM! What is going on?? Before I knew it a couple of weeks later I was called into the pastor’s office. “Rob, are you a believer in the Shepherd’s Rod?” They asked. “Sure” I said, thinking they too loved the truth and this was God’s truth because it passed the test–to the Law and to the Testimony. Long story short, I was told that if I did not relinquish my faith in the Rod, I would be demoted from Deacon to regular member with no rights to leadership roles in the church. Soon it dawned on me and the Lord reminded that I had finally learned the personal meaning of “all” shall suffer persecution! This now was understood! To no longer be able to contribute to the discussion of the Lord’s word from His house was a big disappointment and an injustice. Persecution indeed! “No man can be true to principle without exciting opposition.” Desire of Ages p. 356. We mentioned that today’s persecution is not yesterdays, but nevertheless it exists, as can be seen by my personal testimony, it came in the form of demotion, murmuring against and slandering. It also may include dis-fellowship which our last prophet , Victor Houteff experienced. “At the close of a service conducted by a field secretary of the General Conference of Seventh-day Adventist in one of our city churches, Brother Houteff was asking the speaker of the evening a question on some statement which he had made from the pulpit in opposition to the teachings of The Shepherd’s Rod. Without warning or conversation of any kind, a man approached him from the rear, took him by the neck and shoulders, and thrust him from the building. But what was worse, the offender was not even an Adventist; in fact, his mother said he was not even a Christian! Now what incited this poor man to commit such an unprovoked and unlawful act? What, if not the false accusations from the pulpit, made against Brother Houteff? For up to that moment Brother Houteff had never met the man or even spoken to him, and there had been no excitement whatever, but only quite friendly reasoning on the part of the conversers. “A third incident very similar to the ones related above came to my attention, all within a period of four weeks. This time the president of the Union Conference, had on Sabbath afternoon called a large congregation together, many miles away from either of the churches mentioned above, to hear him refute The Shepherd’s Rod. During the service, he conducted himself in such a way as to instil in the hearts of all his hearers hatred for the author of the message contained in The Shepherd’s Rod series of books and tracts. After the meeting closed, a group of young people were gathered around Brother Houteff outside the church, near an embankment. Suddenly a young man rushed up to the crowd and thrust himself as hard as he could upon the one nearest Brother Houteff in an effort to knock him over the embankment. And he would have verily succeeded had Brother Houteff not been quick enough to catch himself in time to avoid pitching over head-long! “Who are standing in the counsel of God at this time? Is it those who virtually excuse wrongs among the professed people of God and who murmur in their hearts, if not openly, against those who would reprove sin? Is it those who take their stand against them and sympathize with those who commit wrong? No, indeed! Unless they repent, and leave the work of Satan in oppressing those who have the burden of the work and in holding up the hands of sinners in Zion, they will never receive the mark of God’s sealing approval. They will fall in the general destruction of the wicked, represented by the work of the five men bearing slaughter weapons. Mark this point with care: Those who receive the pure mark of truth, wrought in them by the power of the Holy Ghost, represented by a mark by the man in linen, are those “that sigh and that cry for all the abominations that be done” in the church. Who is working for Satan? Those who oppose those who are against sin and sinners in the church! These are who get persecuted. The ones who stand up for the right based on God’s word. So this is where some soul-searching must be made. Each “believer” must ask himself the following. Do I have courage to stand for the right within my church, or do I fear to because it will affect my church relations? Am I experiencing any trouble from “within” due to proclaiming His truth within our church? Do I experience absolutely no “persecution” as in today’s application? There is a sure reward for those who stand for the right and receive persecution. In closing brethren the Lord said –all– and that means all. And if we do not live Godly we cannot experience the truth of His word. Satan is watching those who dare take a stand for the Lord’s truth, and if you do , be sure that you will experience the fulfillment of this word. This week as I laid in bed, thoughts of writing more of the kingdom came. But the Lord, as always, guides and as such the subject of Revelation chapter 3 came to mind. As we SDA are well aware the Lord looking down to our day wrote specific counsel, serious counsel, that we must not ignore. Let us look at Revelation 3:14-22. These are the words of the Amen, the faithful and true witness, the ruler of God’s creation. 15 I know your deeds, that you are neither cold nor hot. I wish you were either one or the other! 16 So, because you are lukewarm—neither hot nor cold—I am about to spit you out of my mouth. 17 You say, ‘I am rich; I have acquired wealth and do not need a thing.’ But you knoweth not that you are wretched, pitiful, poor, blind and naked. 18 I counsel you to buy from me gold refined in the fire, so you can become rich; and white clothes to wear, so you can cover your shameful nakedness; and salve to put on your eyes, so you can see. 19 Those whom I love I rebuke and discipline. So be earnest and repent. 20 Here I am! I stand at the door and knock. If anyone hears my voice and opens the door, I will come in and sup with that person, and they with me. Now, let’s be totally honest here. When we read those words, we most likely will say, “I’m not the one deceived, it’s the other guy.” But let’s look deeper and find out just who is this “Knoweth not” guy or gal? Let’s very carefully go over these words of our King, and do an analyzation of them. Before we do we should also remember that the Word of the Lord in Chapter 3 is specific and means something very very important. “Being compounded of the Greek words “lao” and “deci,” the one meaning “people,” also “speak,” the other meaning “judgment,” the two together meaning people proclaiming judgment, the name Laodicea, therefore, identifies a church proclaiming the judgment hour (Dan. 7:9, 10; Rev. 14:6, 7). The Lord is not happy with us as a people, we are not on fire for the Lord. We go through the motions. We can be cool or lukewarm. We are not active in declaring the things of the Lord. We have not kept abreast of His word as the scroll unrolls (present truth). For the few who do know that His promised last prophet to our church (Mal 4:5) has important instructive eternal words for us. Hence. “what greater deception can come upon human minds than a confidence that they are right, when they are all wrong!” Consequently, this kind of Christians are the most difficult to handle and most hopeless to convince. But if they would hear the voice of the True Witness: “I counsel thee to buy of Me gold tried in the fire, that thou mayest be rich; and white raiment, that thou mayest be clothed, and that the shame of thy nakedness do not appear, and anoint shine eyes with eyesalve, that thou mayest see” (Rev. 3:18), become as babes, and be taught as such, then a great flood of light from the Word of God, as has never been beheld, will enshrine them. But now some among you are aware that because you’ve accepted the Lord’s Elijah message, His Rod (Micah 6:9, 7:14) you have bought from the Lord “gold tried in the fire.” Amen!